Is There a Science Behind Staging a Home? When did you last tour a home for sale? Was the house neat, tidy, and furnished nicely? Your eyes probably followed every characteristic of the rooms and made a judgment of the whole house based on how they made you feel. 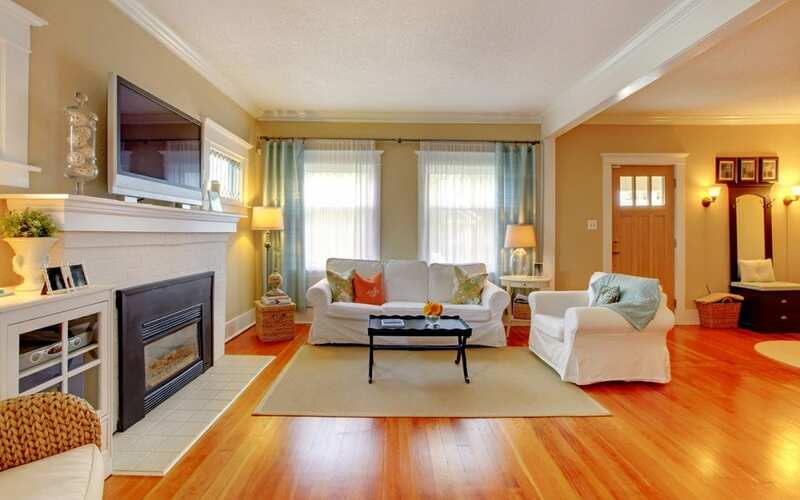 Staging a home can drastically change a potential buyer’s first impression of it. Home staging has only become popular in the last twenty years or so. Just ask Dr. Lisa Poundstone, whose science degree proved to be useful in home staging. She discovered how staging a home could be viewed scientifically when she saw the reactions of people who viewed the homes she staged. So she began her own home staging company. There truly is a science behind staging a home. Poundstone advises the emotions that come with selling your home should be traded in for those of moving on. Having someone else stage your home reduces the nostalgia that may come up. It gives the homeowner permission, so to speak, to move on. The placement of furnishings can create illusions of the room’s size. The eye tracks left to right when people view a room. When people walk into a room, they should see tall, heavy furniture placed in the farthest left corner of the room. The room will look bigger. Placed near a doorway, the tall, heavy furniture will make the room look smaller. Too much furniture or awkward placement of furniture makes a room look smaller. Visitors should know there is plenty of room to move around. Add the skepticism that their own furnishings won’t fit in the room, and you have a very good reason for staging. Part of what makes a house a home is the scent. In the brain, the smell and memory receptors are closely connected. A mother’s perfume or the enticing aroma of bread baking or cookies when you came in from school are powerful recollections of what made your home a home. Tour any home for sale today. If it has been professionally staged, you’ll enter the house pleased with the smell of fresh cut flowers. While you want the house to smell clean and mildew free, adding special touches like this will make potential homebuyers feel like they could live there. Home staging is, after all, marketing. You want your home to sell, preferably for a good price. The way to make that happen is to play up the positive aspects of the house. Stagers often work in threes, meaning you’ll see the positive accentuated with groupings of three. The fireplace mantel will be set with three antique bottles filled with pretty feathers. There will be three throw pillows on each piece of a sectional sofa for a pop of color. Three pendant lights will hang over the island in the kitchen. Three bar stools will be positioned around the island. You get the idea. Design technicians say that thinking in threes gives the viewer a natural sense. His/her eye will naturally look around the room, led by these “three” groupings. Scientists tell us that natural light zaps depression, clears the mind, boosts moods, and aids our eyesight. Why not show buyers how much light can fill your house? Lots of light also makes a room look larger. Add to the natural light with wall sconces and floor lamps so that the home is bright and cheery, not dark and dreary. If you are selling a home in the Bismarck-Mandan area, schedule a Pre-Listing Home Inspection with Home Guard Inspections. Pre-Listing Inspections offer many advantages when getting ready to list your home on the market, such as discovering and addressing any issues that may turn into deal breakers at a critical time. By having a pre-listing inspection, you are more likely to sell your home easier, quicker, and for a better price.